This gorgeous wide leather cuff wristband has been dyed with a gradation from rich tan to dark brown. 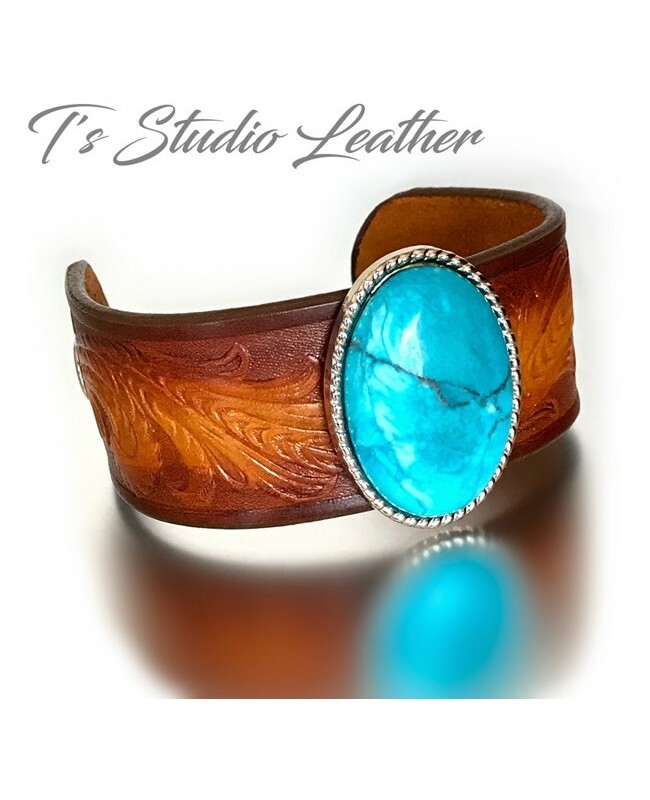 It is finished with a large oval faux turquoise concho set in a silver setting, and has a silver snap closure. The wristband is 1 1/2" wide. The turquoise concho measures approximately 2" x 1 1/2". I am happy to accept custom orders. I have several conchos available, and the leather can be dyed any color you choose. Each bracelet is made to order, to fit your wrist. Please make a note upon checkout with your wrist size. I need an exact measurement, not loose or tight.